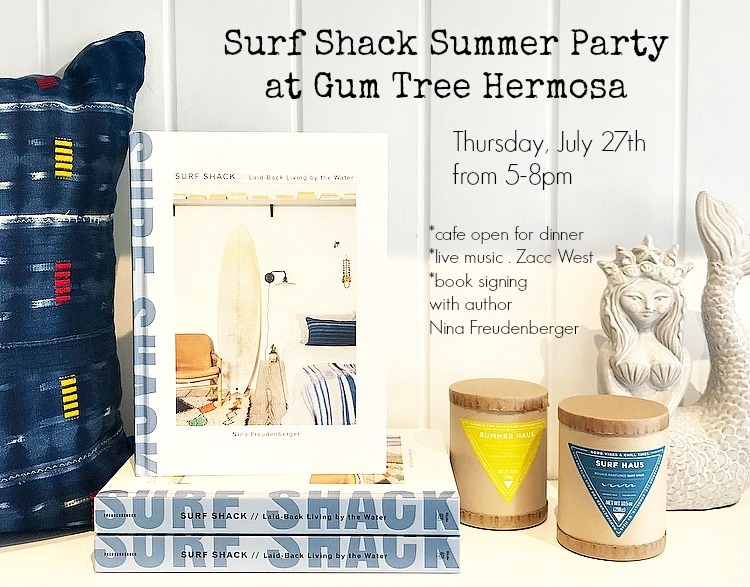 We’re thrilled to announce that Nina Freudenberger, the author of our favorite home decor book of the year, Surf Shack, is coming to Gum Tree Hermosa! To welcome Nina, we’re throwing a midsummer night party, and we hope you can join us. We’ll keep the cafe open for dinner, serving some Aussie favorites. 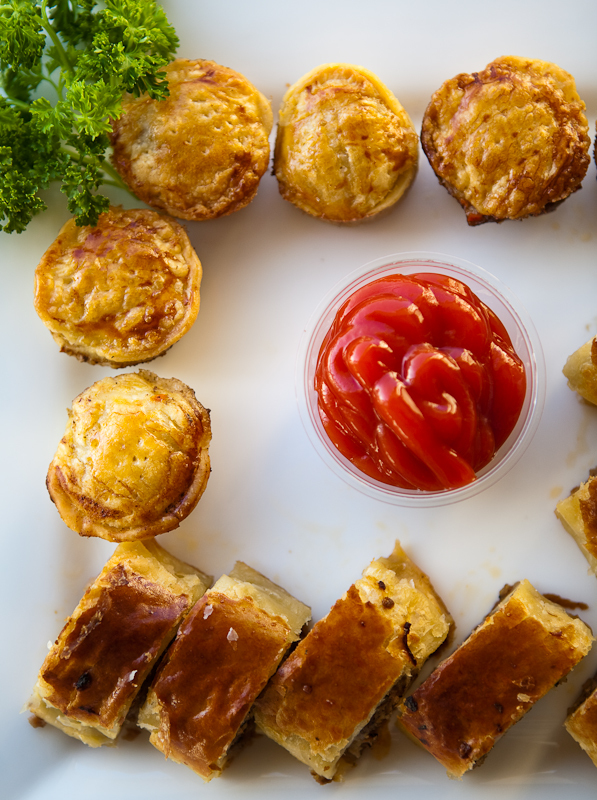 Come for a meat pie, sausage rolls, crab and corn chowder and more. We may even make some of our famous lamingtons. Complimentary Sangria too! 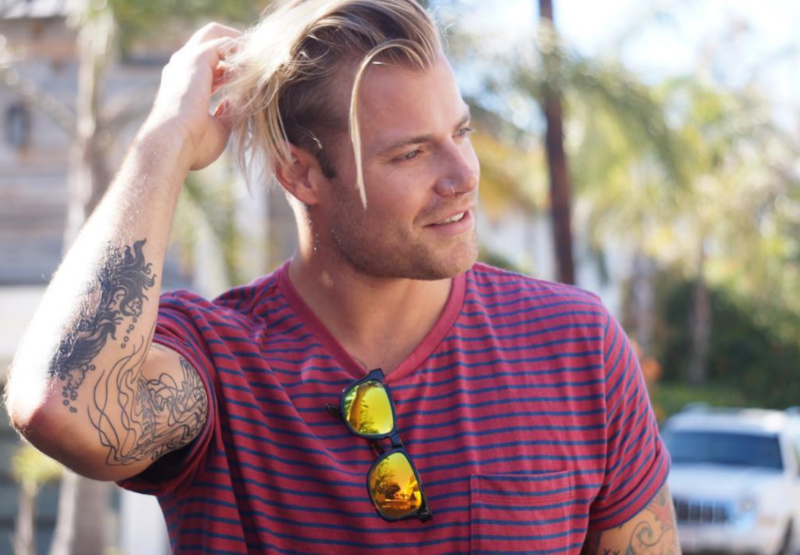 Live Music on our front patio from talented (and adorable) local musician, Zacc West. Our shop will stay open until 8pm, and we will have plenty of copies of Surf Shack for Nina to sign, along with her iconic Surf Haus and Summer Haus Candles, guaranteed to make your house feel a little more like one of the effortlessly cool Surf Shacks collected in her book. 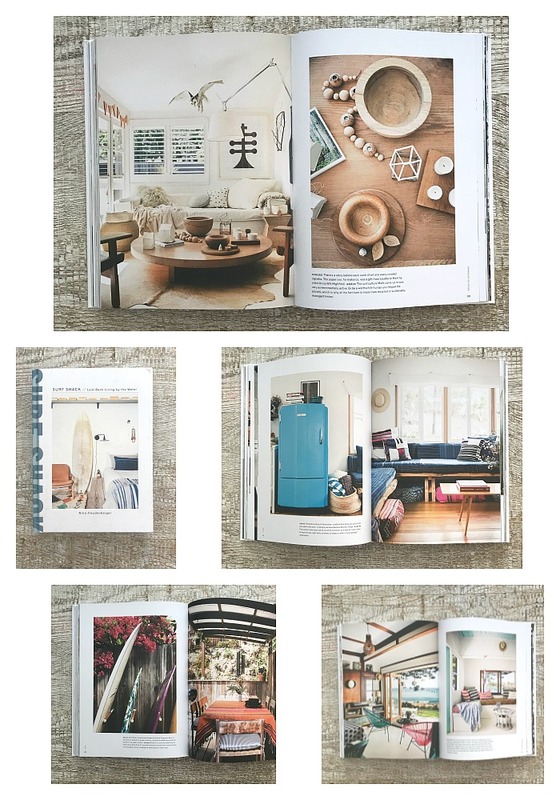 Nina is the founder of the boutique design firm Haus Interior, she lives close by in Mar Vista, we can’t wait to meet her! So gather your friends, bring the kids, and enjoy an evening out in beautiful downtown Hermosa Beach. July 20-23rd… AVP Hermosa Beach Open…This weekend check out the world class volleyball tournament at the Hermosa Pier. Friday, July 21st…Nikau Kai presents a screening of The Princess Bride at the Manhattan Beach Library courtyard, princess and pirate costume contest too!